Are you one of those e-commerce dropship enthusiasts? Doing big volumes by dropshipping products from suppliers around the world? Purely focusing on dropshippers in Southeast Asia, or maybe having an intention of selling to US soil? Vietnam business structure, as of the moment, seems perfect for you! In this article, we will dig into the business practices, tools, and see if you should incorporate your dropship business in Vietnam or not. First things first: What Does a Dropship e-Commerce Business Involve? You have probably heard about this before; but still, supposed you are in the internet marketing space, but not too familiar with e-commerce. Maybe you’ve heard the term ‘dropship’ – but want to know more. 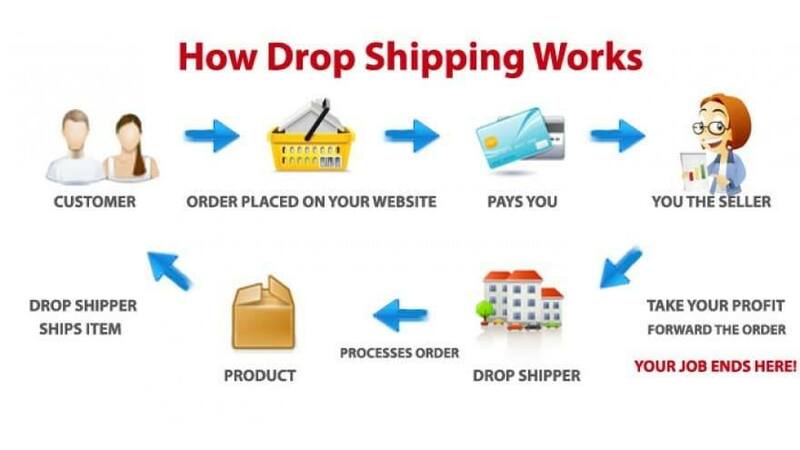 Dropship is the concept that you list and sell your product on your own website or shopping cart, and when a customer buys the product, they pay you and you are the seller. The difference from traditional e-commerce, however, is that you don’t have the product in your own warehouse! You have an agreement beforehand with a supplier or wholesaler who will ship the product directly to that buyer on your behalf. Since you have a pre-established relationship here, you get a lower price. Pay the supplier that lower price, and you keep the difference (profit margin) as your cut. People adore this dropship model because they don’t need to invest in inventory. It’s not just about the upfront monetary requirement of paying for the stock, but also the risk that this product may not sell. With dropshipping, you can instead test the waters, see what products consumers want, and focus on those. Ok, so what does a dropshipper need? You’ll need to have at least 1 place to get your products from, or you’ll have nothing to sell. You may leverage regional factories or wholesalers and they may also have a Vietnam company, to make things super easy and smooth. This is online, so you’ll need some kind of channels to sell the products. Maybe content marketing, maybe paid advertising on Google or Facebook. Similar to marketing channels above, but let’s call this marketplaces. For example, tons of people are making a good living off Amazon these days, so you’ll need to establish an account with them in order to access the massive amount of buyers in their network. eBay is still there, but is becoming less and less relevant. Once you start selling the goods, you’ll need to pay back the suppliers for those orders. Relationships can vary. Some are willing to give you credit terms and invoice you monthly – which is pretty sweet. Others want you to pay upfront for the goods in order for them to ship out. You may pay them by credit card or by bank transfer, sometimes even Paypal. Pretty much anything goes here, and if you’re a big enough dropshipper, you may be able to negotiate better terms and payment methods with the supplier. It’s all about volume in this though. So that about covers it. The main idea is, first you have to find a source who will be able to ship on-demand to your end buyer, and then you sell those goods, get paid from the buyer, and pay back the supplier (immediately or on terms). A ton of e-commerce is done out of China these days, with major dropshipping suppliers such as AliExpress and DHgate. You would want to be closer to the action and be a more favorable client to a certain dropship supplier you will be doing business with. They will most likely have established their business to Vietnam too (as with the case of AliExpress) and you can pay them fast and easily. But even if they don’t, you can pay into Mainland China almost as easily. More and more people are sourcing products in Southeast Asia – Indonesia, Philippines, and Thailand in particular – to sell to the US. Vietnam is no stranger to these places, and you can pay out to them quick and easy too. And, if you’re lucky, these foreign factories and suppliers might also have a VN intermediary company – making it like doing business with your neighbor! Depending on your branding and marketing message, you may want to use Vietnam to your advantage. If you’re trying to be “Factory direct” and competing on price in the market, you can leverage Vietnam as the direct best place to get low prices. This is especially true if you’re dropshipping Chinese goods – often these suppliers give you better prices than the consumer can find anywhere else. As a creative internet marketer, think about how you can use this to your advantage. Put your company office address right on your contact page and have the story about how you are committed to giving the best price to your customers. We’ve discussed this on the above post, but you can get an advantage in your business from the corporate tax rate. The base is currently 20%. Be a bit careful here, the IRD (Internal Revenue Department) wants you to pass the physical presence test. But even at the 20% tax rate in VN, you’re way better off than most locations in the world. So convinced for Vietnam? Let’s see what you’ll need. This goes without saying. Once the company is set up, first thing is to apply for a business bank account. It’s how you’ll operate your company, your sales income and paying out your expenses. Probably if you’re selling online, you’ll need to offer Paypal as a payment method. If you have a shopping cart, you’ll want to get paid by credit card. Your customer may be expecting it; in fact, if you don’t accept credit cards (only having Paypal, for example) you’ll be losing out on sales. There are a lot of merchant account options, such as Shopify Payments, Stripe Atlas, Apple Pay, etc.. Be sure to check them out. If you’re selling on Amazon, you may need Payoneer to get the sales put into your bank. You’ll need this to pay for online services, cause maybe your suppliers want you to pay them by card. How much balance you’ll need? It Can get pretty high if your volume goes up and up. You may want to pay suppliers by bank transfer to keep things smooth. -> You’ve uploaded the product details and photos of the products from your dropship supplier. -> Nice, a customer buys! They check out on your website and pay you by Paypal. -> You don’t have credit terms with your supplier, so you go to their backend dropship system and place the order. -> You use your business credit card to buy the product and ship it directly to the customer. You keep the $25 between the retail price and your dropship price. -> Your sales grow, and you negotiate with a regional wholesaler to pay them every 2 weeks. They give you a super lower price than the USD pricing on their dropship site, and you’re amazed. -> Your sales increase and you’re receiving money by Paypal and Credit Card. The first 2 weeks past and the account rep at the wholesaler emails you an invoice by PDF. -> You login to your HSBC VN online banking and transfer them credits from your savings account. The fee is about $13, and your margins have been improving. -> You find more wholesalers in the region who can dropship, and you expand your product offering. Your website gets more traffic, more sales, and you push down prices and expand your credit terms with suppliers. Life is good, business rocks! And plus, you don’t have any products in your own warehouse or office. 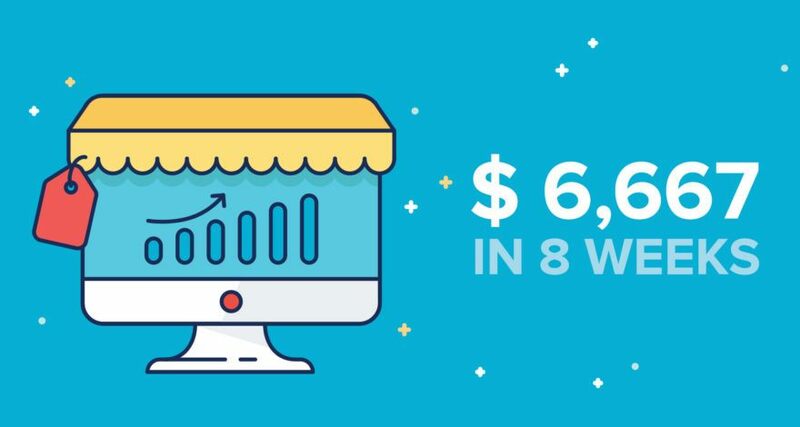 Also check out our previous guide on how to maximize your dropshipping profit margin. 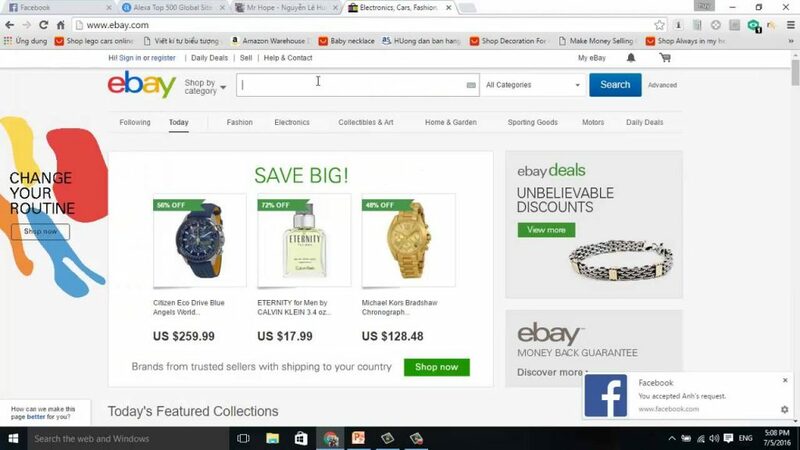 Once you have decided to try your hands at dropshipping, it is time to set the business up and make some money. Choose a product and then a supplier – bulky, fragile and large items are not recommended because shipping fees and handling may be a problem (SEEK THE HELP YOU NEED AT THE END OF THIS ARTICLE!). As for supplier, make sure to have a specific agreement pertaining to orders (i.e. payment methods, how and when items should be packed and shipped). Know all legalities – Besides having to pay taxes and duties, it is wise to have a formal agreement with your supplier. Set up your store – Shopify, Amazon, eBay, social media – choose whatever selling platform to put your listings up. List or put your products online – Know all the details about the goods as if you have produced the product yourself, and make sure to put up a good description of it, and know how to answer every question a potential buyer may ask. Once a product is sold and has been paid for, cut the chunk of profit you get, and forward the rest of the payment to your supplier to have them ship the item directly to your customer. Among the thousands of dropshipping suppliers, there will always be bad apples around. Know your supplier – Ask for permits, certificates, business address, name, contact number, and everything you need to know about who you’re transacting with. Know your product – Ask for samples, make sure you’re going to sell something that wouldn’t harm your reputation. Of course, ask them about the quality controls implemented, and if they offer warranties. Payment method – Most suppliers in the Southeast Asia, especially those from China, prefer Western Union or wire transfer, but if there’s a chance you can pay via PayPal, use it instead so you can have protections against potential fraud. Communication – Contact numbers, social media accounts, email, physical address, etc.. Know every way to contact your supplier. Make sure to get a supplier that is always available and easy to reach, because whenever a customer purchases your product, it is vital to book that order with your supplier ASAP, so it can be shipped immediately. Shipping method – This is probably the most important aspect. Since you are not going to ship the product yourself, you need to know your suppliers’ courier and how reliable it is. We wouldn’t want delayed shipments, would we? And this is where we come to aid! Dealing with dropshipping suppliers and the dropshipping business in Vietnam as a whole may be a bit tough, especially with the language barrier and the possibility of getting low-quality products. But with extensive research and patience, dropshipping can help you go a long way. The idea of dropshipping has its own advantages especially when we talk about investment or start-up capital, but it still has its own risks, as risk is basically one vital part of growing a business. 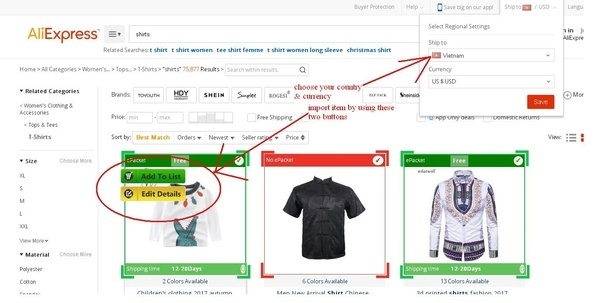 Dropshipping does not end at finding the right supplier and product, as your main objective is to sell; it all boils down to how you can make money from these products.